Sigma Cleansing and Polishing Tool! 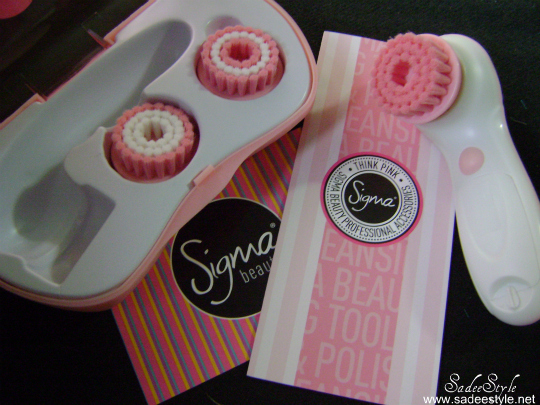 The product today I'm going to review about is a Sigma Cleansing and Polishing Tool which is design for polishing and cleansing the dull and dry skin, comes along with 3 interchangeable brush heads for different kind of application. So this tool has two speeds of rotation, click once for the regular speed and click twice to get the fast speed runs with AA batteries and its water resistance which means it's very good to use it which any kind of liquid or a gel wash. This tool also comes with brousher that show you how to take care of your skin also the instruction guide how to use this tool properly, All three brushes pops off easily and you can put different one right back on. 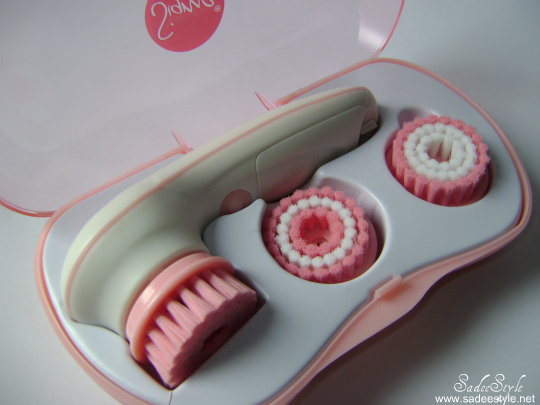 All Pink bristle head have a soft attachment great for sensitive skin and daily cleansing and polishing. 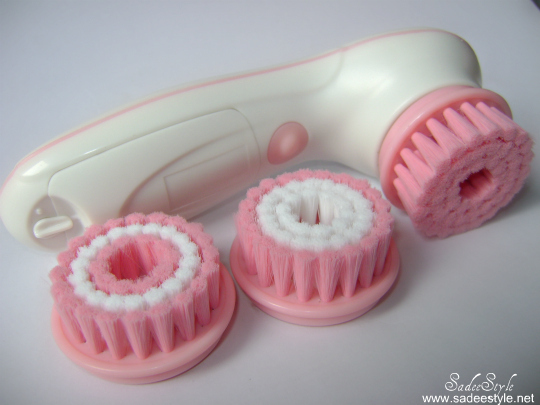 The mixed white and pink bristle have medium attachment great for daily exfoliation for normal skin. All white bristle have a firm attachment perfect for occasion exfoliation for perfect and healthy skin. I love the beautiful pink packaging, looks very gorgeous and feminine. I have used sigma cleansing and polishing tool couple of time and noticed an extra smoothness on my face also it removed the dead cells and the dry skin patches when I used it with Liz Earle Cleanser and Polish. I love how smooth it go to the skin without scratching and leaves a flawless glowing skin we could use it on all of our body not only to our face because all of our skin needs an exfoliation best if we use it on our elbows and knees you can use it right before your make-up or right before you go to the bed The cost of this tool is 39 USD which is nothing, the only thing disappointed me that this tool should comes with an adapter instead of batteries because batteries are not long lasting and power dies really quick. For order and detail visit Sigma Beauty. Add a small amount of your favorite facial cleaner directly to the brush head prior to application. Use the SOFT brush head to exfoliate dead skin cells and expose a fresh healthy layer of skin. Keep your entire exfoliation process under one minute. Once your skin is polished, proceed with the application of your favorite moisturizer and makeup. You will notice that the polishing process will help your moisturizer deeply penetrate your skin creating the perfect base for flawless makeup application! Remove excess makeup prior to cleansing with facial wipes containing makeup remover. Add a small amount of your favorite facial cleanser to the SOFT brush head and gently work it onto your skin using the Sigma Beauty Cleansing and Polishing Tool. Keep your cleansing process under one minute. Apply your favorite moisturizer and you're ready for your beauty sleep! The MEDIUM and FIRM brush heads are ideal for body exfoliation. Once your skin is exfoliated, proceed with the application of your favorite moisturizer or self-tanner. Even exfoliation is the secret to smooth and healthy looking skin and the perfect summer glow! Adjust this routine as needed. Once you get started, you can customize the intervals between exfoliations to fit your needs and your skin type. Moderation is key! Most frequently used brush heads should be replaced every 3-4 months.